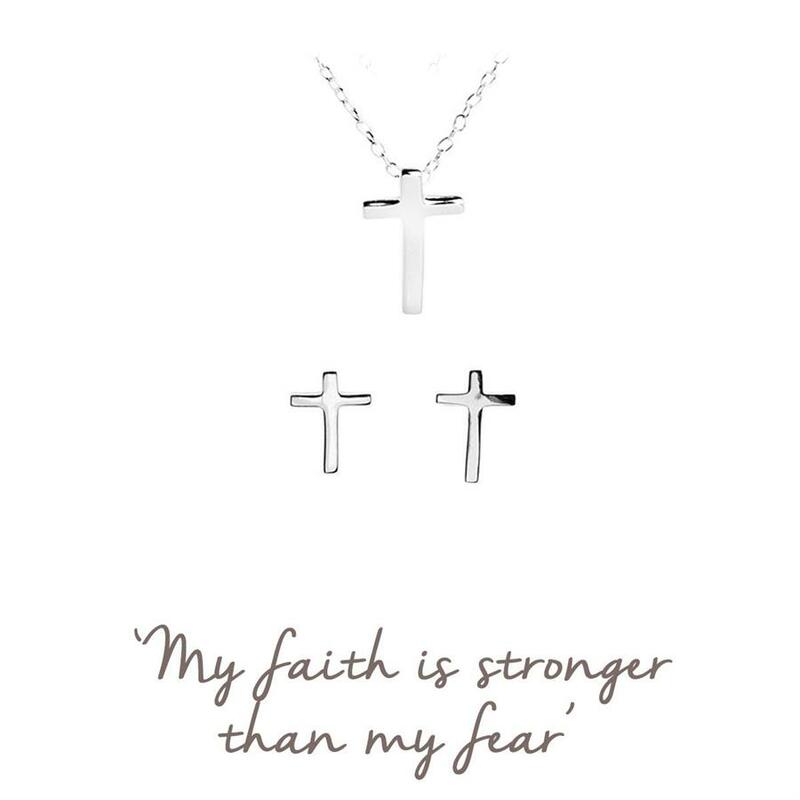 A symbol of faith and protection, wear this beautiful Cross gift set to be reminded of the power of belief. Allow the strength of your faith to carry you through even the toughest challenges life throws at you. 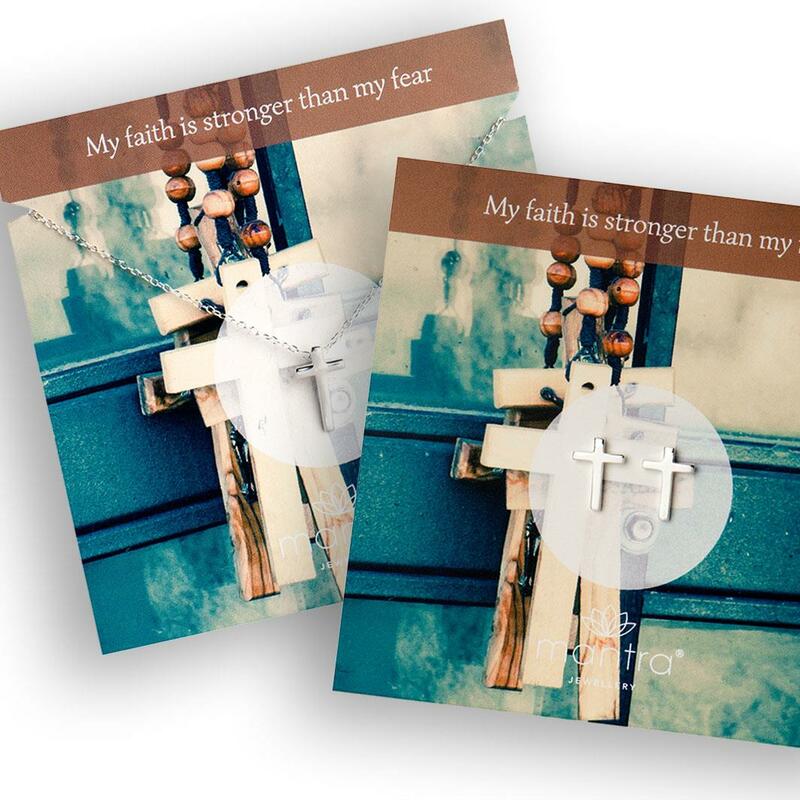 The perfect gift for encouraging anyone who needs some self-belief | a confirmation gift. 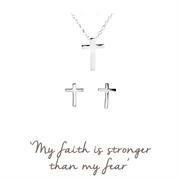 This set includes our Cross earrings and matching necklace. 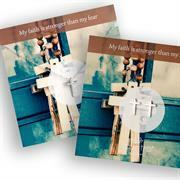 This set is an ideal gift for a loved one who has recently overcome adversity, or who is facing challenges in the future. The mantra will reassure them of their own inner strength and the strength of their faith. Or buy the set for yourself to remind yourself to keep that belief. Mantras are powerful phrases, written to make a positive impact on our feelings. A mantra motivates and inspires us; it energises and calms us. Often, it builds our belief in ourselves. Take hold of your jewellery when you are wearing it, and say the mantra a few times, to give yourself a moment of space, calm and focus. 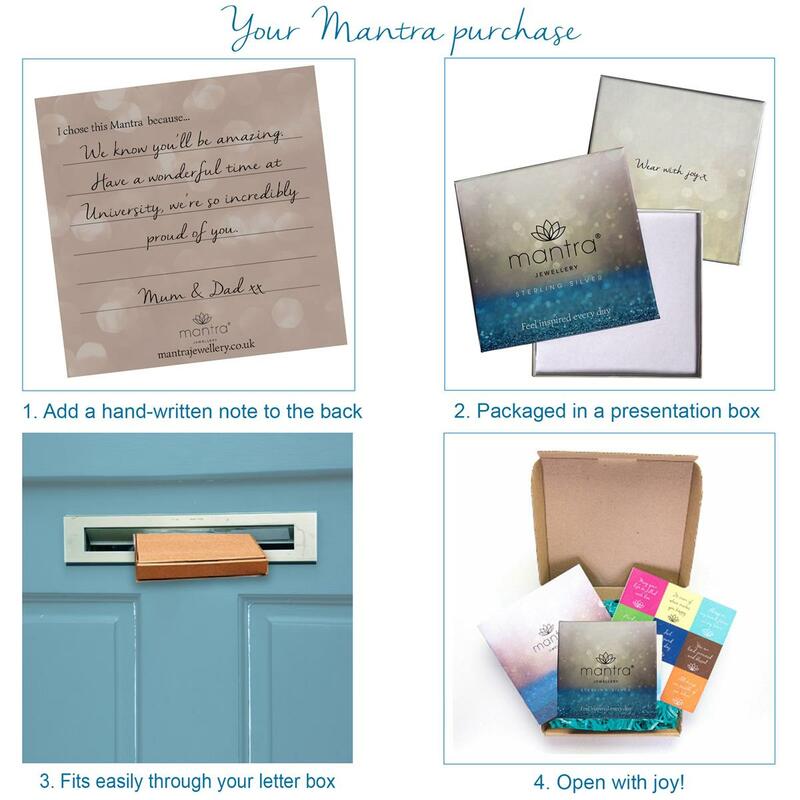 We designed Mantra Jewellery to create a timeless and very personal way of being inspired by your mantra, whether you buy it for yourself or were given it as a gift. Wear your Mantra Jewellery to feel inspired and joyful each day. Save 10% by purchasing as a set.